Just last week the first poster for Marvel's sequel Thor: The Dark World came out of nowhere, and the first trailer is arriving tomorrow. But before that, we have some first look images from the film. 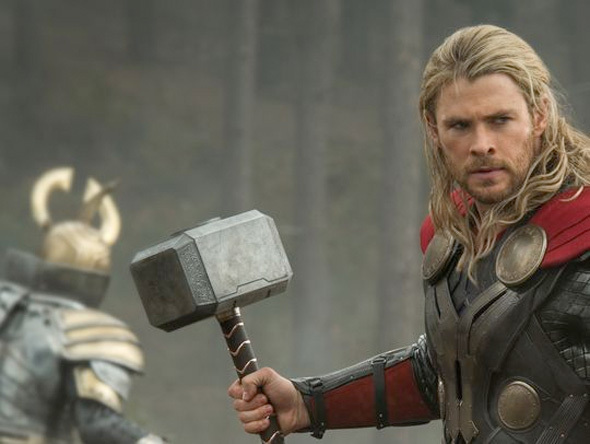 We already caught a glimpse of Chris Hemsworth back in action as the demigod thanks to Marvel's preview of Phase Two from the Blu-Ray collector's set of Phase One, and now some official images are here, complete with Natalie Portman as Jane Foster, and Thor wielding Mjölnir, which will likely have an unfortunate effect on his enemies. This one doesn't arrive until this fall, but we can't wait to see what's coming after Iron Man 3. I can't wait for the trailer or the movie! I'm very much excited to see Thor's sequel. Don't get me wrong, I'm incredibly stoked for IM3 but if I could only see one in theaters (IM3 or Thor 2), it'd be Thor 2 for me. Let's hope Portman does not phone it in...I'm sure she had legitimate reasons as to why she wanted to drop out. I wish they hadn't introduced a romance in the first one at all. Get everbody invested in your hero and immersed in their story first, and deal with that later. 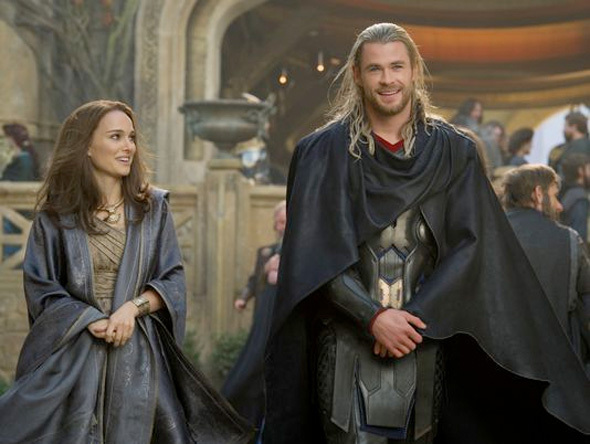 It's already an irritating trope in superhero films, but in Thor, he literally fell for the first girl he saw after the introduction. I totallly agree with you! Taylor will make this movie epic.